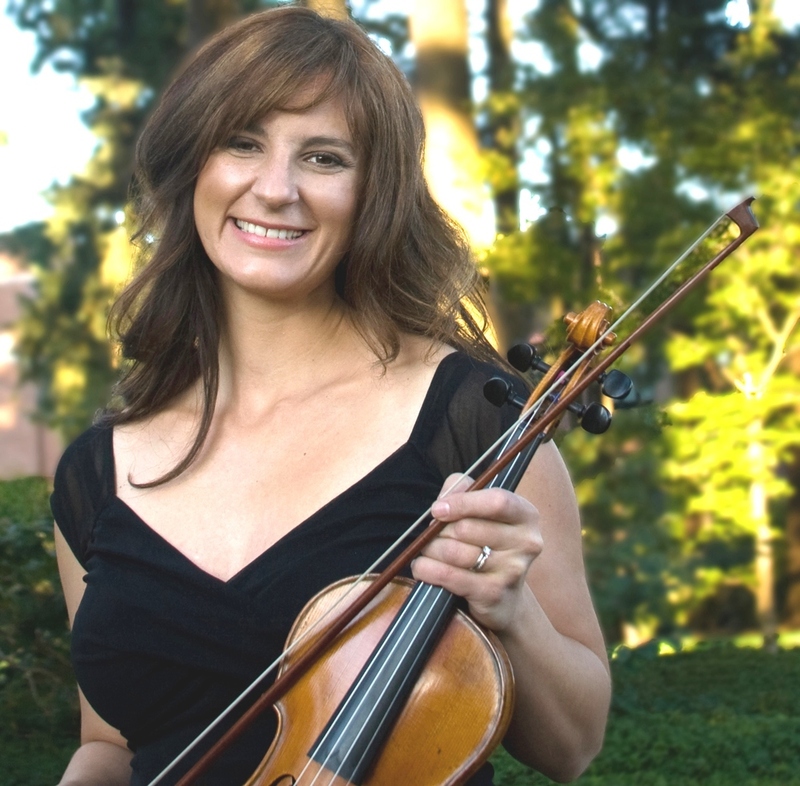 Maria Sampen, Professor of Violin at the University of Puget Sound in Tacoma, Washington, enjoys a vibrant musical career as a soloist, chamber musician, orchestral performer, recording artist and teacher. She is in demand as a performer of both standard repertoire and new and experimental works. Her performing engagements have taken her around the world, and she has played in Europe, Asia, Canada and all over the United States. In addition to her busy performing schedule, Ms. Sampen is a dedicated teacher. At the University of Puget Sound, she teaches a studio of 18–20 college violinists, coaches chamber music, and is chair of the string department. She also teaches in the University Community Music Program. She has twice received the university’s Thomas A. Davis Teaching Award for excellence in teaching. Ms. Sampen also received the university’s John Lantz Senior Fellowship for Research and Advanced Study. Ms. Sampen’s students have won top awards in competitions including the American String Teachers Association Competition, the Music Teachers National Association Competition, the University of Puget Sound Concerto Competition, the Tacoma Youth Symphony Concerto Competition, the Marrowstone Music Festival Concerto Competition and many others. Her students have attended summer music festivals around the world and have gone on to leading graduate programs throughout the country. Ms. Sampen holds bachelor and doctoral degrees from the University of Michigan, and a Master of Music degree from Rice University. Her major teachers include Paul Kantor, Kenneth Goldsmith, and Paul Makara. Ms. Sampen was winner of both the University of Michigan Concerto Competition and the Shepherd School of Music (Rice University) Concerto Competition. Ms. Sampen has received grants from the American Composers Alliance and the Aaron Copland Fund. She has been featured as a soloist on radio broadcasts throughout the country, including live appearances on KING FM in Seattle, and public radio stations in Michigan, North Carolina, Nevada, Indiana, and Illinois. Ms. Sampen and her husband, Tim Christie spend their summers performing at the Walla Walla Chamber Music Festival in Eastern Washington (wwcmf.org). From 2008-2012 they were also on the faculty of the Brevard Music Festival in North Carolina. Ms. Sampen was a fellow at the Aspen Music Festival and the Tanglewood Music Festival. She has also attended the Mozarteum Sommerakademie in Salzburg, Austria. Her string quartet held residencies at the Banff Centre for the Arts in Canada, and the Musicorda Festival in Massachusetts. During the academic year, Ms. Sampen performs frequently with her new music group, Brave New Works (bravenewworks.org), the IRIS Orchestra (Germantown, Tennessee), and the Puget Sound Piano Trio.